Thinking of giving your child a hand-me-down iPhone? Planning to buy an iPad to share with the whole family? Or maybe you just need to use your iOS device to keep your little one occupied for a few hours? 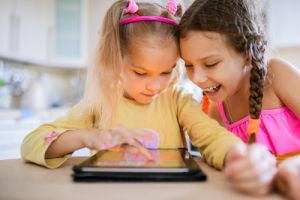 Whatever the case, parental controls can be a useful way to ensure kids can enjoy some entertainment, while making sure your child avoids making any unauthorised purchases, or visiting inappropriate pages on the web. To help you out, we’ve created a guide on how to use the parental controls on iPhones and iPads. If you’re gifting your child with an iPhone or iPad, you can set up Content & Privacy Restrictions to keep the device ‘child-friendly’. This function might also be useful if you have designated iOS device to share between all family members. Content & Privacy Restrictions must be set up before you can access many of the features mentioned below. How can I prevent my child from making in-app purchases, or installing or deleting apps? If you want to take extra precautions, then you can change the settings to ensure a password must be entered before any purchase can be made. To do this, go through steps 1 to 3. Once you’re looking at the iTunes & App Store Purchases screen, press Always Require. Can I hide certain apps on my iPhone or iPad? If there are important work emails stored on your iOS device, you may want to keep small fingers as far away as possible. Thankfully, you can temporarily hide an app or built-in feature from your phone home screen. How can I protect my child from meeting other real-life players in games? How can I make sure my child can only access kid-friendly content? 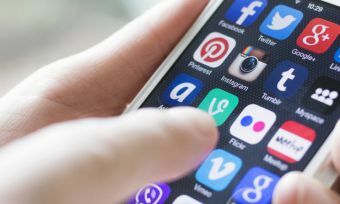 iOS devices like iPhones and iPads will usually filter websites to restrict any access to adult content found in Safari and other apps. But there are additional ways to further control your child’s phone usage. If your child has a curious mind and loves to ask questions, help Siri ensure the Internet is a safe place to get some answers. Changing the settings can stop Siri from searching the internet when your child asks a question, and avoid showing any explicit language. Open Settings and select Screen Time. Select Content & Privacy Restrictions and type in your specific Screen Time passcode. Now, good luck limiting the time your child spends on your phone!